Yakuza is an odd franchise. Not just in terms of tone and narrative (although those certainly qualify), but in how anachronistic it seems for a franchise from a major publisher like Sega. 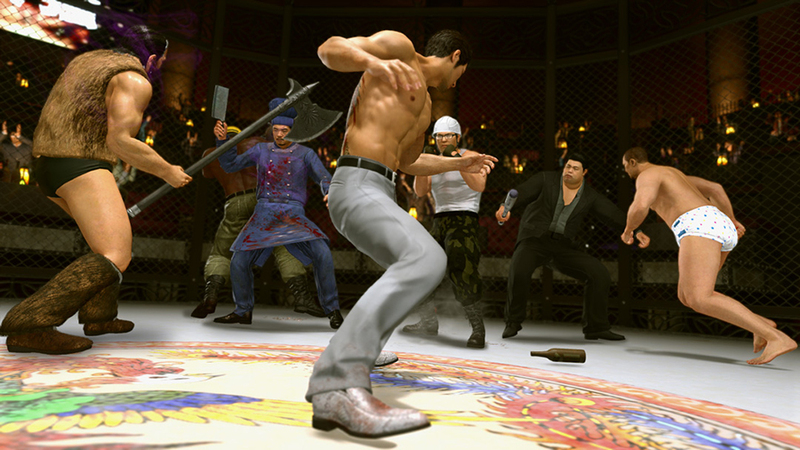 Yakuza is a series of single-player games with a steady drumbeat of sequels. It doesn't feature multiplayer modes in any significant way. It is not a game as a service. What little downloadable content has been offered for the series is either free or inexpensive and limited in scope. Despite flouting the latest trends, Yakuza has proven itself to be plenty sustainable. Since the first Yakuza debuted in 2005, there have been seven mainline games, five spin-offs, and two Yakuza Kiwami remakes of the oldest titles in the franchise. Speaking with GamesIndustry.biz at E3, Sega Europe executive vice president John Clark said the series' success points to a growing appetite in the West for Japanese-developed titles. "From my experience of Japan as a market, what we see is something that to us is very traditional publishing and development: Single player, story-led, sequel, sequel, sequel," Clark said. "And it's something that works in Japan. What's happening here is that the Yakuza franchise is being brought to the West and it's not being changed for the Western market, in terms of the gameplay. "We're not turning every Yakuza title into an open-world Yakuza game. That's not what's happening. We're representing the Japanese IP, the Japanese road map, the Japanese content to the relevant audience within the West. And whether there's a need to change that or not, I don't know. But it seems to be successful and it seems to be working." "18 months ago China would have been a top 30 region for us. Today, it's a top 5 region"
Clark said the interest in Japanese-developed content has been clear over the past 18 months, particularly in digital storefronts like Steam. (Sega last month announced plans to push a slate of Japanese-developed PC games, including Yakuza 0, Yakuza Kiwami, and Valkyria Chronicles 4.) Interestingly, Clark believes the success of Sega's Japanese-developed games on Steam is having a beneficial impact on sales for other platforms as well. "We've seen the growth of Japanese IP on Steam on PC; that never existed before," Clark said. "And it surfaces across other formats as well because gaming is now a social entity. You have your friends lists and you see what your friends are playing and it encourages you to dive back in to the games you maybe missed before or games you stopped playing. So we've seen that network effect of games being played on different formats now driving overall awareness." Over the same span, Sega has also seen an increased appetite for its Western-developed content in Asian markets, China in particular. "If you look at premium downloads via Steam, I would say 18 months ago China would have been a top 30 region for us. Today, it's a top 5 region. The growth from Steam has happened in the last five months, and it's been significant. It's been incredibly impressive." Total War interest in Asia is growing thanks to a new entry set during China's Three Kingdoms period. Part of that is due to a growing market for PC download-to-own titles of the sort Sega offers. But Clark said the company has been trying to encourage that growth as well by "just taking small steps to show a little bit of care for the Chinese market." That means not just localizing games into simplified Chinese, but making sure they are putting localized store pages up on Steam, pricing things for the local market using local currency, and accepting local payment methods. "It's more accessible," Clark said. "It's more appropriate for the local audiences in terms of localization. And it's just more accessible. And with the support of more Chinese publishers and Chinese entities, it's only going to get more accessible. We're talking about, I don't know how many, 1.3 billion people? That's a huge potential gaming audience and a demographic that's building its technology awareness, its connectivity, its social media and the way music and movies are downloaded and payments are being made. It's a huge growth area." As for what Western-developed content works in the Chinese market, Clark said Sports Interactive's Football Manager and Creative Assembly's Total War are two particularly strong franchises in the region. 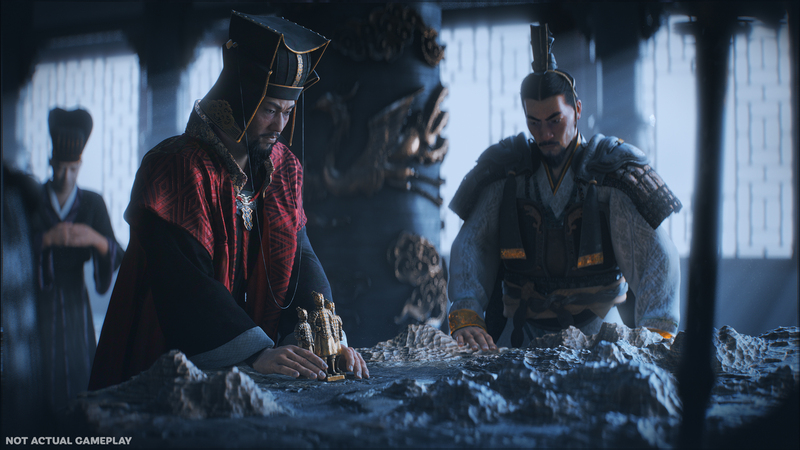 The latter is only likely to get bigger as in January, Sega announced Total War: Three Kingdoms, a new edition of the strategy franchise set during an era of Chinese history frequently depicted in the media of several Asian countries. "Simply put, we've noticed the scale of interest back towards us change," Clark said. "It was always there. 'Hey Sega, you've got some great franchises, let's take them to China' was a conversation that was always happening. But when we announced Total War: Three Kingdoms, that was a step change in terms of the resonance we were having with any Chinese partners. It lends itself really well. We can learn a lot. That is certainly a key title for us in China."